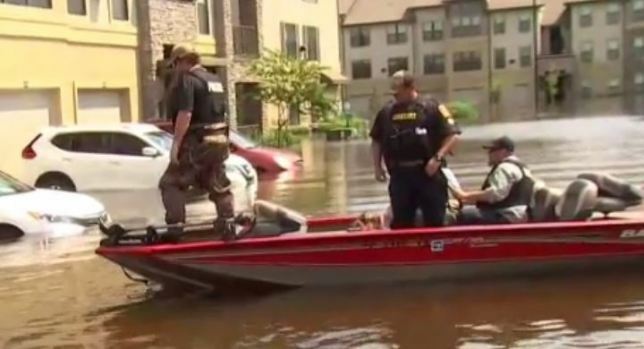 Rescue efforts in the Houston area are expected to last several more days. First responders are still going through some of the hardest hit areas in Texas following Hurricane Harvey. NBC Boston Meteorologist Chris Gloninger joined some of these rescuers Thursday as they combed areas for people trapped by the flooding. The Barker Dam in Katy, Texas, has filled beyond capacity and is overflowing into surrounding communities. Electricity was cut Thursday, changing plans for those who thought they could ride out the damage. Thursday night, the Barker Reservoir was still above capacity, meaning several neighborhoods in the back of the reservoir have been flooded. Voluntary evacuations have been in place in parts of Katy. 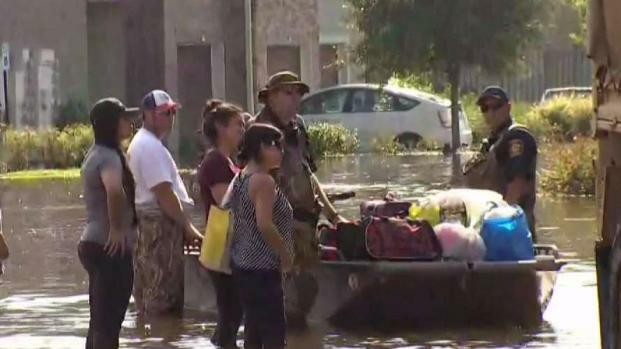 Crews from the National Guard and local fire departments are working together to help rescue people from the flooded streets of Texas after Hurricane Harvey. The Army Corps of Engineers has been releasing water from the reservoir, but that is flooding areas downstream. The water in Katy will likely stay in place through Sept. 7. Contamination in the water has caused a public health concern. In addition to debris in fuel spills, raw sewage has been released in the water. The National Guard has been assisting local fire crews over the last several days to rescue people in boats. Fire Lt. Simon Van Dyke said multiple crews have been working to rescue thousands of people in the area. Residents are being advised to tie a white flag outside their homes if they’re in need of rescue. Gloninger and NBC Boston photographer Cary Patton flew into Dallas on Sunday night and then made their way to the Houston area. They’ve spent the week covering the lasting damage caused by the storm and speaking with people who are trying to being the process of rebuilding their lives. First responders are still going through some of the hardest hit areas in Texas following Hurricane Harvey. 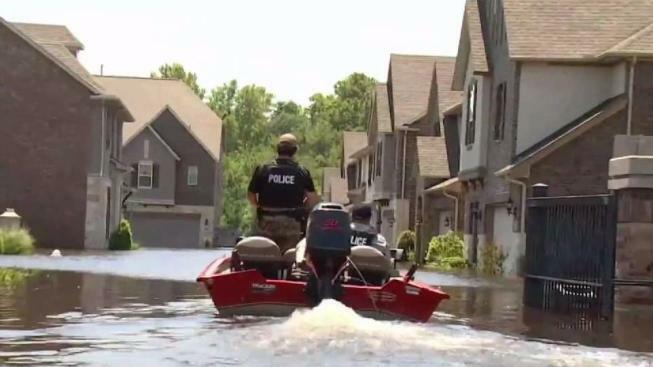 Meteorologist Chris Gloninger joined some of these rescuers Thursday as they combed areas for people trapped by the flooding.